The Pixel 3 XL is the faithful companion of my colleague and roommate Luca. Sharing the same apartment gave me the opportunity to take a closer look at the Google device and compare it with my Galaxy S10+. After some time I came to the conclusion that the big G should 'borrow' some features from Samsung when creating the Pixel 4. With this title I don't want to imply that the display of Pixel devices is poor, quite the contrary. Google has paid a lot of attention to the quality of its panels in recent years. The Pixel 3 (XL) has certainly improved in this department compared to the previous generation, thanks to the supply of panels by Samsung Display. However, when facing up to the Galaxy S10+, there's no comparison. The South Korean manufacturer's flagship displays brighter and more vivid colors. It does not give the Pixel 3 any chance for comparison, especially under direct sunlight where S10+ is able to reach the incredible peak brightness of 1200 nits. I have no doubt that Google will once again have Samsung supply the displays for the Pixel 4, which is why I hope it can achieve the same quality. When you use a smartphone for a long time and open several apps consecutively, it's almost normal to notice small drops in performance, especially when it comes to Samsung devices. However, this year's software, while not yet the lightest in the Android landscape, earns the South Korean manufacturer a lot of points with its excellent multi-tasking performance. This is largely due to the amount of RAM on this smartphone - 8GB (or 12GB if you like), but also thanks to the great job by the software team. It was about time, let me tell you! 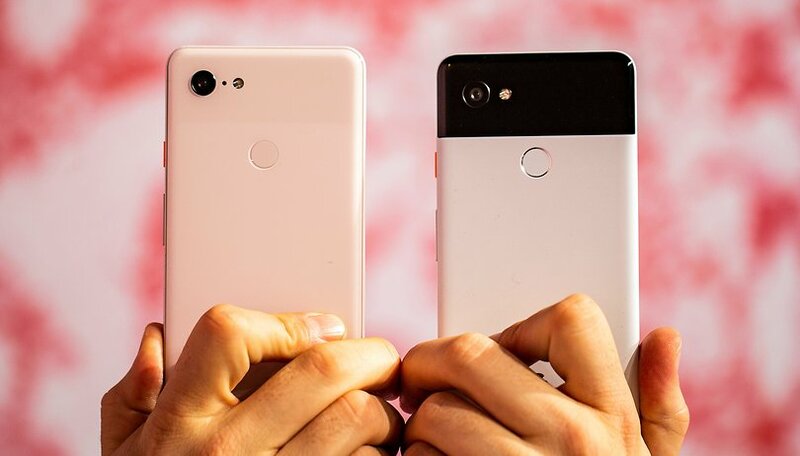 In the meantime, Google has equipped the Pixel 3 XL with "only" 4GB, an amount that I think is enough for any Android smartphone, but sometimes a little more memory wouldn't hurt, especially when performing challenging tasks frequently. I'm not sure Google intends to gamble with the 8GB RAM card, but I'm sure the Pixel 4 will have more capacity than the Pixel 3. If we really had to find a middle ground, I'd opt for 6GB. Who's offering more? I already know what you're thinking... "Hands off the Pixel 3 camera!". Don't worry, though! Even in the Galaxy S10+ camera test I could not help but point out that the Pixel 3 XL camera is still the best I have ever tried. Samsung may have multiple lenses, but Google's software processes images flawlessly using just one sensor. The criticism in this case is that the Google camera app is quite embarrassing in terms of the speed with which it opens. A Pixel 3 XL user will probably disagree with me, especially because they have simply gotten used to the Google style, but when you double-press the S10+ power button, the Samsung app opens so quickly you'll be shocked. Google probably does not see this as important (as well as many other users), but it is legitimate to compare the opening time of the camera app. We are increasingly looking for instantaneous shooting, so what better way to get it than by having a camera that opens at the a blink of an eye? For a long time, adding an extra camera was basically a marketing move. On the contrary, in recent times it has become more and more important, with telephoto lenses, monochrome sensors and wide angles that greatly change the photographic experience and offer more creativity in the hands of users. During the test of the Galaxy S10+ I did not fail to thank Samsung for installing an ultra wide-angle sensor with a field of view of up to 123 degrees, a peculiarity that LG owned on the G5 and that has made too much effort to get on devices from other manufacturers. Despite the distortion effect that can happen in many shots, I have always been satisfied with the overall results obtained by the S10+. At first I gave a lot of credit to Google for allowing it to take very high quality photos with a single sensor, thanks to which it showed that the war for highest number of cameras made no sense. However, just for the sake of more creativity and fun, I wouldn't complain if Google equipped the Pixel 4 with a second sensor (ultra wide angle if possible). The company did so with the front camera of last year's device, so why not also at the back? Do you also think that Google should think more about these aspects? What would you like it to improve in the new Pixel phones? Let us know in the comments. Google would do well by copying a few things from Samsung. More ram is definitely needed. Go to the punch hole instead of that ridiculous notch. Increase the brightness of the display & have & use Samsung's OLED technology. Go back to the headphone jack like on the proposed mid-rangers. There is nothing wrong with copying the best!